What is easy is preferred above everything else. 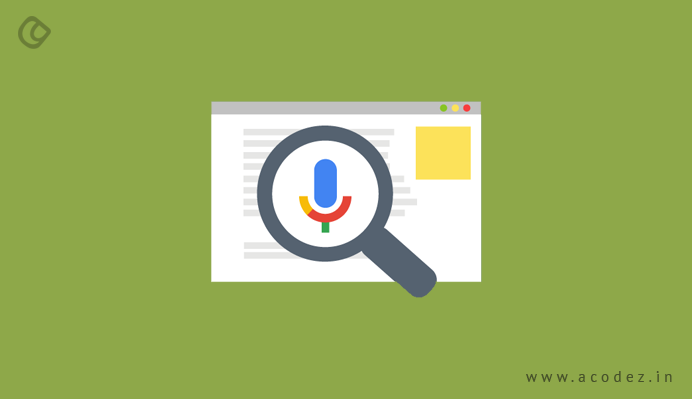 This means voice search would always be the preferred option when it comes to the traditional methods of search, such as typing into search engines. Voice search allows you to search by speaking, which eliminates the effort to type into search engines. The increase in use of voice search in smartphones, e-commerce websites, search engines etc, made it one of the important SEO Trends in the track. 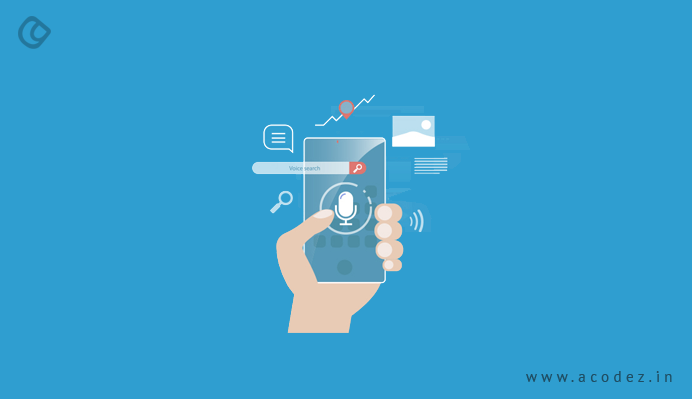 Before looking into the voice search trends let us have a look on what is voice search, its applications, and future. By definition, voice search is a speech recognition technology that allows you to speak out loud anything you wish to search for rather than typing those keywords into the search engine. This ease of looking for something you need by just speaking out loud is gaining popularity and would slowly replace the traditional modes of having to type what you need. The voice search is a simple process – the command or speech is accepted first and then identified. 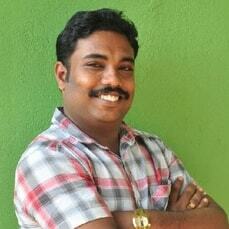 The speech that has been analyzed and recognized is then converted to text – which is the keyword part of the SEO. In fact, recently, many businesses have started applying the trend of voice search technology to their online business strategies and are finding it beneficial from the perspective of increasing sales and drawing customer attention. 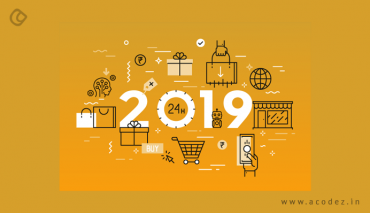 Looks like in the year 2019, this would be one of the most powerful trends that is all set to bring about a change to the existing monopoly of search. Moreover, people love devices that will pay attention to their instructions and act accordingly. Who wouldn’t like their phones to open the contact list when instructed so by just speaking? The devices and systems that exhibit such capabilities are being accepted worldwide and gaining popularity. Siri, Alexa, and Cortana are among those that are already being used by millions of people all over the world. Since there has been an upsurge to these trends, and people using these, Google has decided to make it a part of voice search-based algorithms, which would be a part of SEO going forward. Let us find out the areas where voice search would become a trend over the coming days. One of the most recent trends that have taken the voice search technology to the next level is smart speakers. It is being adopted widely across the world. Some of the earliest adoptions in smart speakers were Alexa and Siri – those are mediocre and just meant for the purpose of entertainment – as they can hardly support a lot of functionalities. Even today, for the fun of it – we like to put up some annoying questions to Siri about what food she likes – would she be our friend, etc. However, over time, it looks like the service providers have learned to work on improvising these characteristics further to provide people with a more personalized touch of services that they are expecting. Google Home and HomePod from Apple are two best examples of how a shift is happening in the smart speaker technology. In the year 2017, if sources are to be believed, there has been a sale of more than 20 million smart speaker devices in the US, up by 9 million units of sale in 2018. By the year 2020, experts believe that this consumption of smart speaker devices will rise up to a figure of 76 million or more users, which is a 48% hike from the present state. With the growing use of these voice-activated responsive device and people getting accustomed to their functionalities, the consumption and manufacturing of these devices will experience an upsurge. 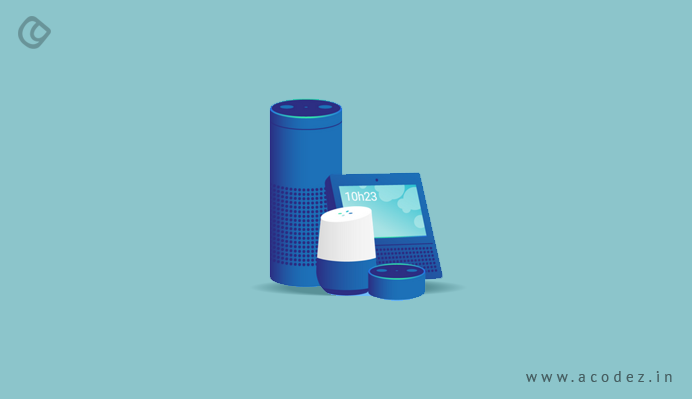 Voice search does not end at smart speakers – there are smarter technologies apart from smart speakers that provide similar features. You can now source information through voice search through mobile – isn’t that obvious with what smartphones are capable of. You can now access Google’s voice search via mobile devices. These can be accessed in a language of your preference – as these are available in more than 60 languages – which is great progress so far. Back in the year 2016, it was reported that over 15% of Google’s searches on its mobile app and Android devices accounted from voice search – we can expect a much greater volume of voice-based Google search going forward. Experts are reported to have found that over 60% of these searches are done in a conversational or natural tone of speech rather than just speaking the keywords alone as in text search. There would be tremendous growth in this voice search trend of speech recognition technology sooner. If the conversational language is English, the accuracy rate of Google’s speech recognition technology is not less than 90%, if expert reports are to be believed. Artificial intelligence is growing at an unprecedented rate closely followed by its application machine learning and robotics. All that it requires for the improvisation of the afore-mentioned technologies is data. As we provide more and more data to these systems, the functionalities and their scope of performance improvements, providing us with better and enhanced results every time. The innovations and advancements happening in artificial intelligence and machine learning have brought about a lot of impact on our interactions with smart devices and the way we search the internet. One of the best examples of how these technologies have been progressing is Rank Brain from Google. Rank Brain is devised to analyze and identify words, terms, and phrases, which can be then translated mathematically for the purpose of learning. And the most important part of using Rank Brain is that whenever it happens to come across a phrase or term that it has never heard of before – it is capable of making assumptions as to what the searcher means by it and returns appropriate answers. In fact, the answers relate closely to the searches made by the users. These devices have the ability to think, which is a great deal of improvement when compared with devices that can just stare back when encountered with a concern or query. 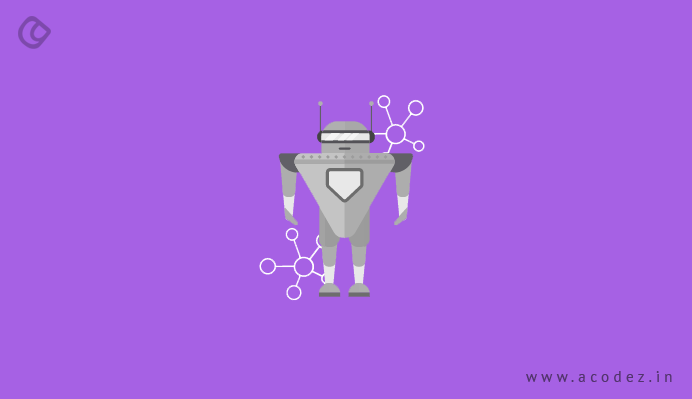 With the increase in the number of AI devices, it would become important that the search algorithms have a transition in their strategies if they are to include machine learning, which is an integral part of artificial intelligence. And we can soon expect some interesting changes coming across Google’s algorithms in a very short time. Stay tuned! Every other change that comes to the web is found to have an impact on search engine optimization. 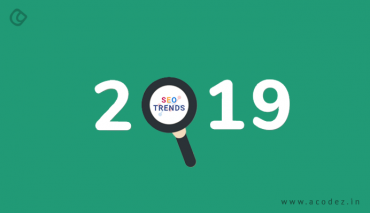 It is not an unknown fact that Google loves to strategize its search algorithms and search engine ranking factors to accommodate the changes and present to people what they need the most. The voice recognition from Google comes with an accuracy of no less than 90%. Looks like most of the businesses are working to tone the voice recognition to perfection so that the perfect results are yielded. There are already full-fledged speech recognition systems that have an accuracy rate not less than 95%. These, for example, iFlytex is capable of translating Mandarin to English, Japanese, Korean and various other known Chinese dialects. And very soon, it would be capable of achieving 99% accuracy. One of the local search trends that tops the list is undoubtedly local search and it has been growing popular every day. A lot of consumers are reaching out to local businesses using voice search. The most important point to keep in mind is that around 46% of people who use voice search are looking for local businesses on a routine basis. In fact, 80% of consumers search products and services before finally deciding to make a purchase. If sources are to be believed, the ‘near-me’ business have increased at a greater rate over the past few years. This is one of the best things that can happen to local business going forward. And mobile searches are taking over desktop searches, which is indeed a great development. What do you think is one of the driving factors behind the growth of local search? – Nothing, but the increase in mobile search. This is one of the reasons why retailers and marketers are gearing up on hyperlocal searches. 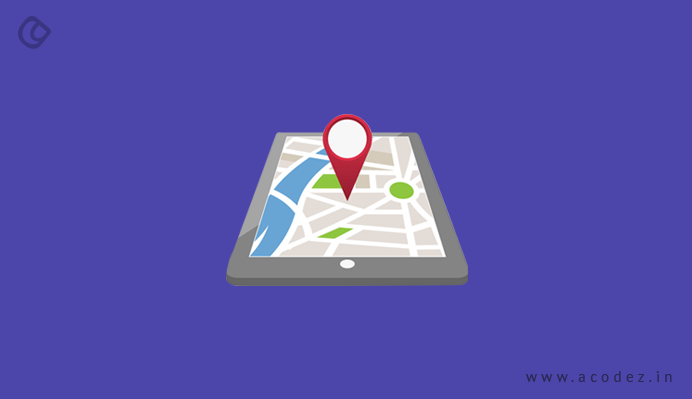 One of the best parts of this is that finely targeted ads will reach users who make a local search – when they make a search within one block radius. These are some of the trends that will be making it big in voice search over the coming days. 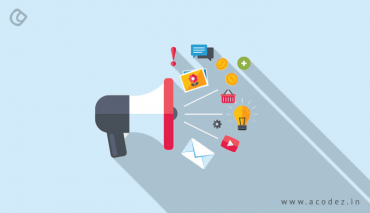 Acodez is one of the leading digital marketing agency in India offering all kinds of digital marketing and web development services to businesses in India and abroad. Our broad experience of having worked on numerous projects has helped us know the requirements of the clients and provided the best services to them.